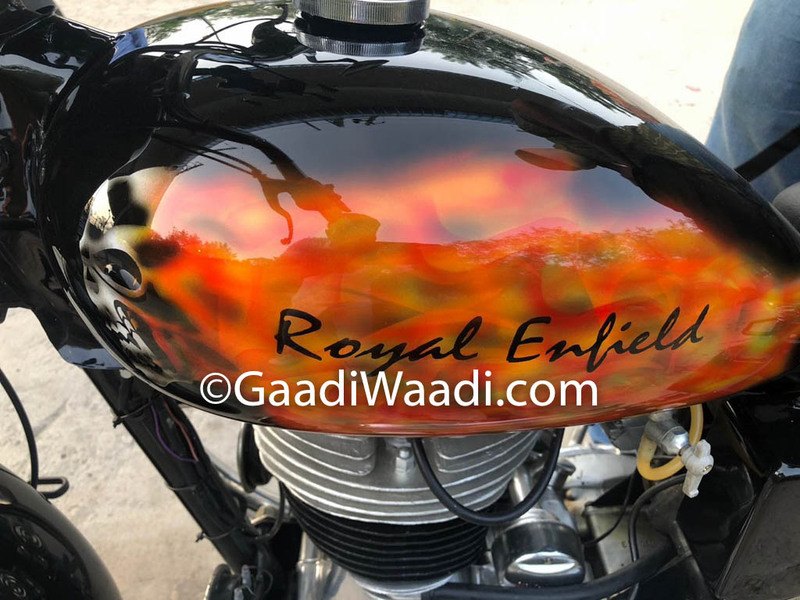 Royal Enfield, the oldest continuous production two-wheeler manufacturer, is synonymous with longevity and motorcycles with retro character written all over them. The models are favourites among modifiers and enthusiasts alike, and the custom bikes are sometimes hard to get over with. 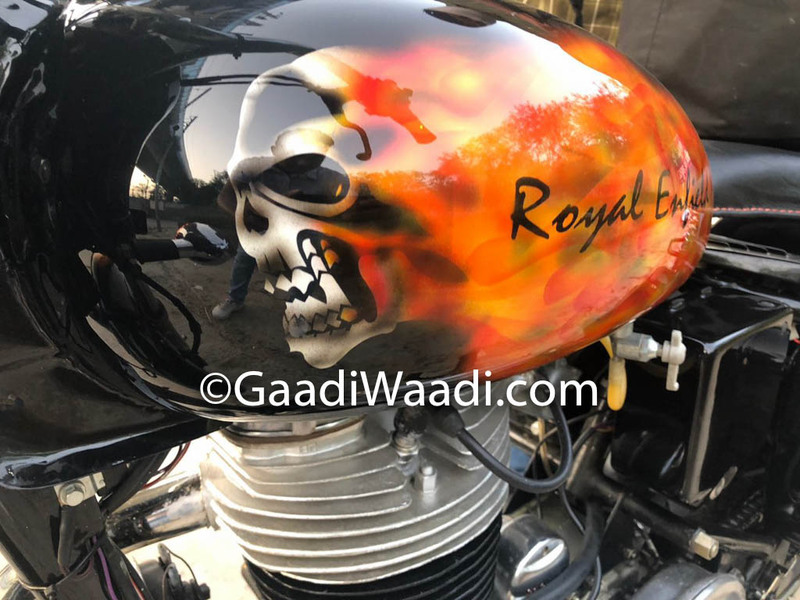 We have featured several of our handpicked mods and adding to that list is another restomod that would make your head go wild. 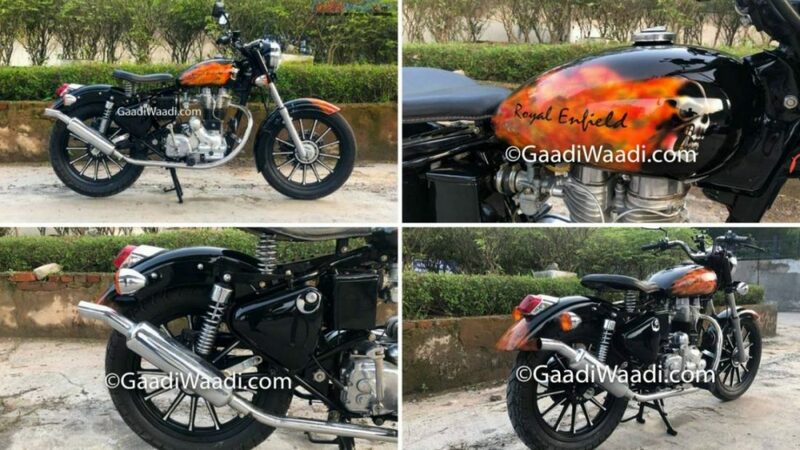 Here, a 1982 Royal Enfield Bullet 350 has been customised to look the part with new graphics, body paint, and a raft of styling changes. 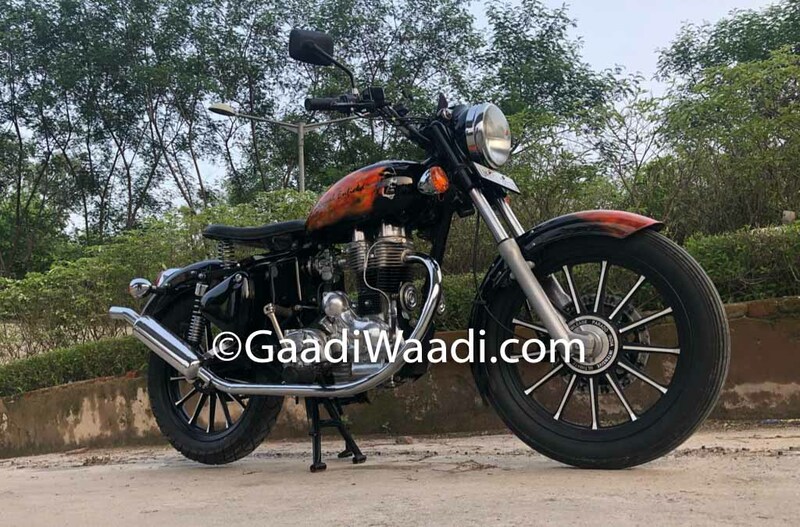 The restoration of the motorcycle costed Rs. 40,000, which is a decent conceivable money but the striking fiery colour scheme made the owner shell out Rs. 25,000 in addition. 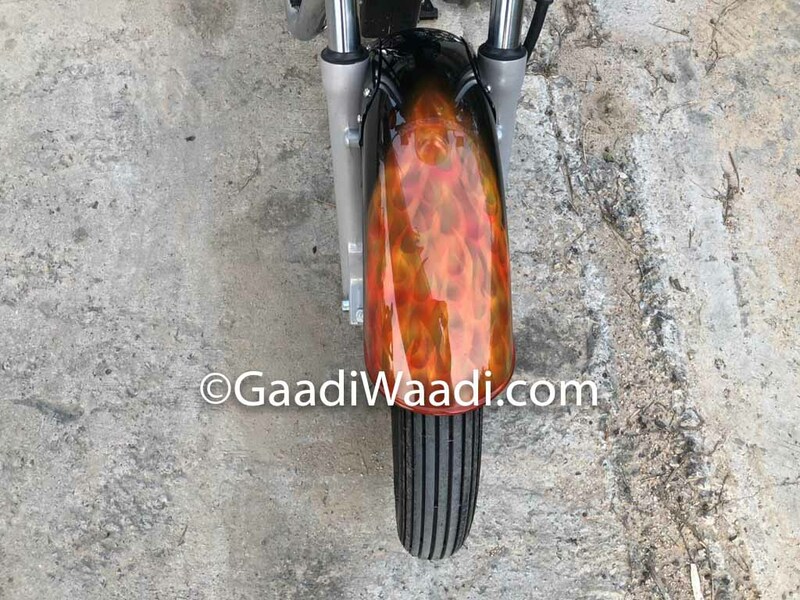 We won’t blame it though, as the paint job defines the cafe racer in more ways than one. 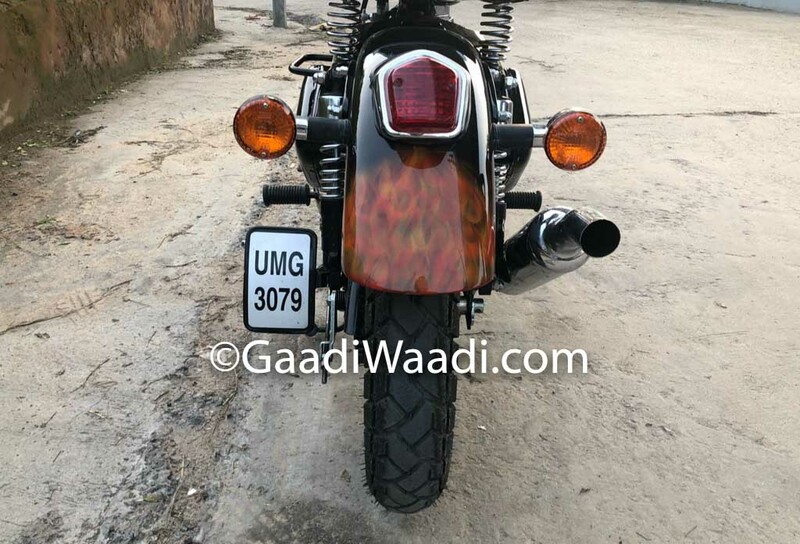 The major credits go to the exterior shade with an angry skull graphic blazing from the sides of the fuel tank and the same theme continues onto the front and rear fenders. Rest of the body panels are finished in black colour. 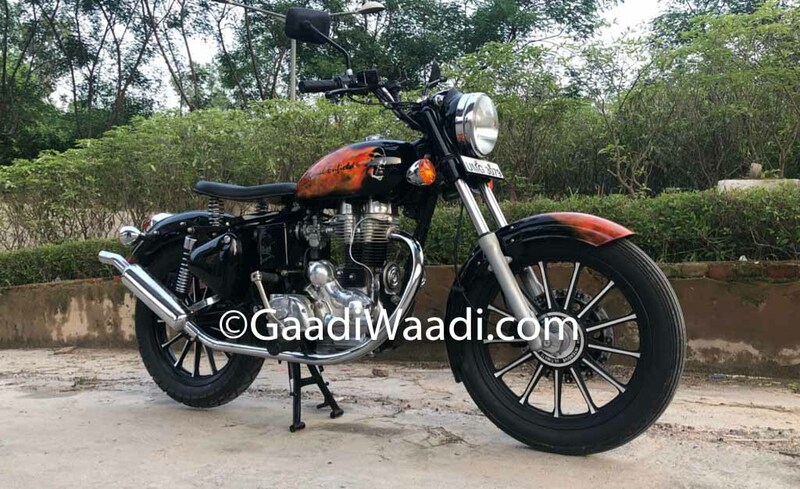 The seat setup is completely new and to bring a cafe racer vibe, it is short to comfort the rider. 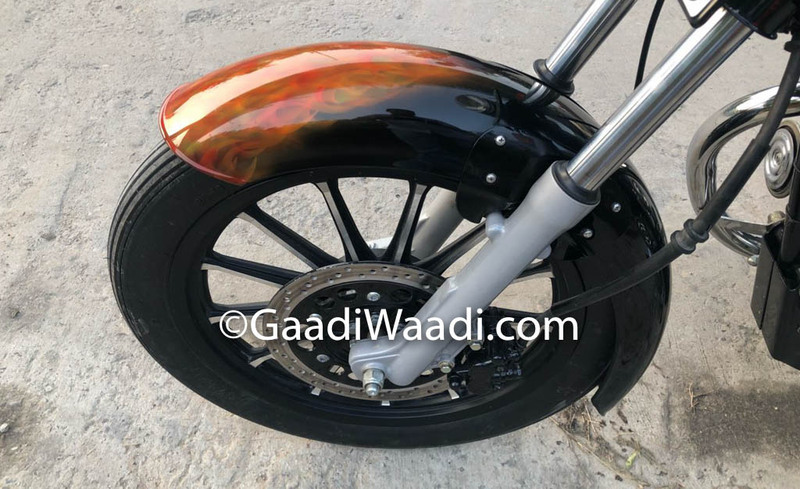 The exhaust system dips down from the cylinder and ends at the tail in an uppish angle. Whether it has a performance enhancement or not is unknown. 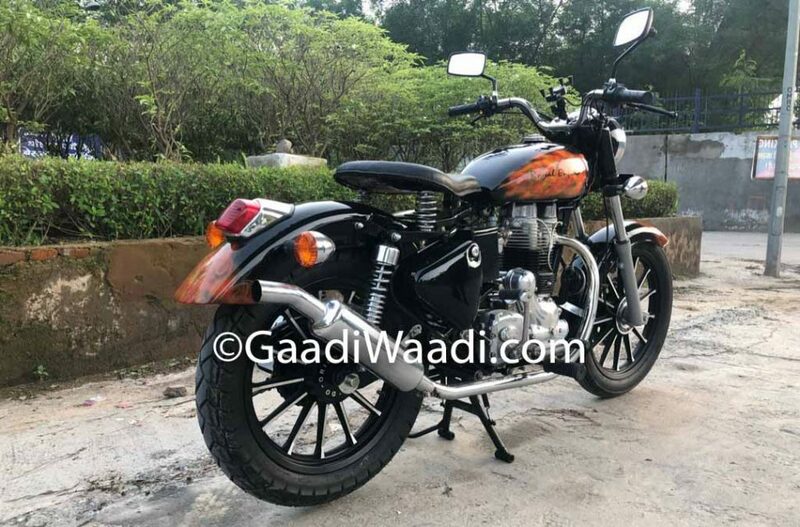 The stock spoked wheels have been replaced by sporty thick 13-spoke alloy wheels rendering a bold road presence. 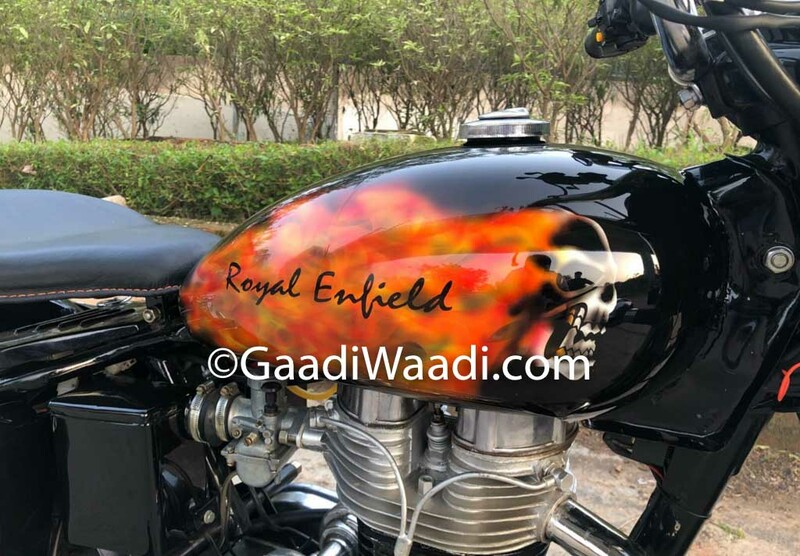 Despite the new body graphics, the fuel tank capacity and its shape remain as the standard version that flattered the hearts of millions since its existence. 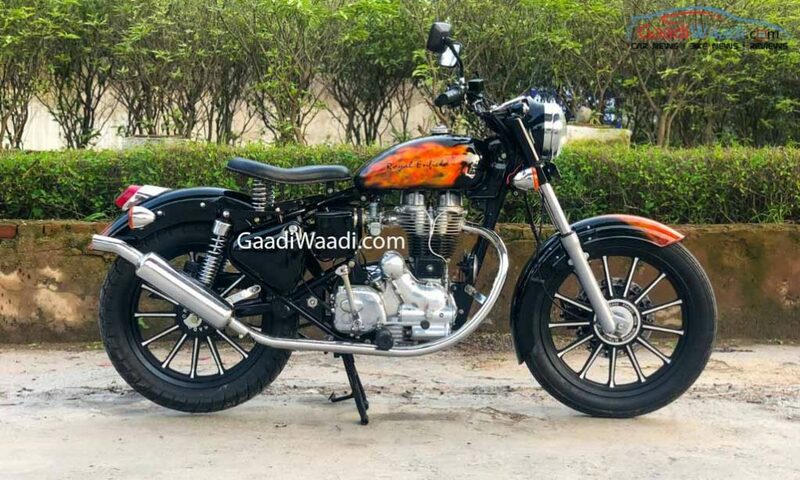 No mechanical changes appear to have been made as the customised cafe racer continues to use 346 cc, single-cylinder, four-stroke engine making 17 hp at 5,620 rpm. 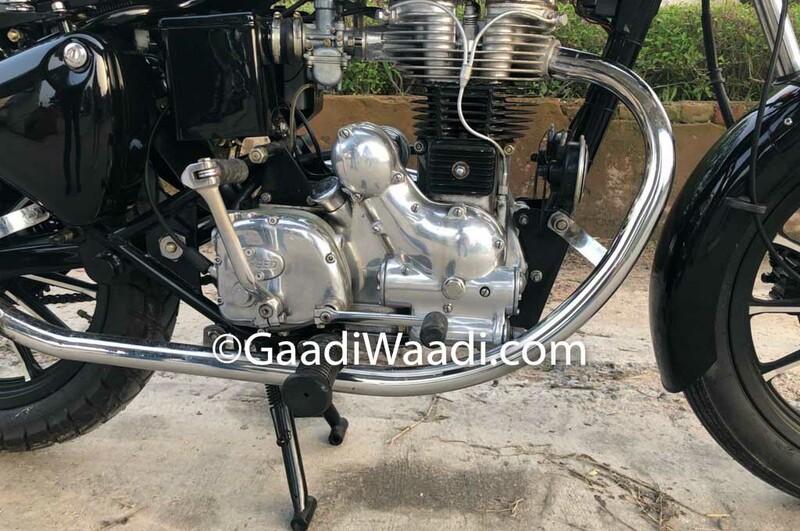 It is mated to a four-speed transmission.